while solving different tasks during different segments of flight. To quantify these metrics, eye tracking data are combined with other measurements, such as changes in heart rate, head movements, or skin conductance. These data may help in determining both, the mental workload of a pilot, and her situation awareness by analyzing the distribution and sequence of visual attention on certain elements of the cockpit. The obtained insights will be used to develop novel interaction techniques and evaluated concerning their applicability for training purposes. 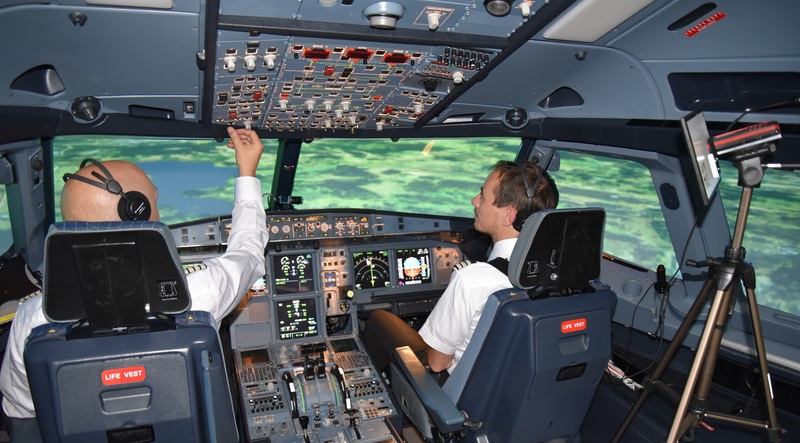 In particular, the aim is to find methods allowing for a more efficient and more effective interaction with the aircraft and pilot training.